A while ago, I entreated you all to the first of the interviews I did with outgoing Hulk scribe Greg Pak. Below is my second interview with Mr. Pak, originally posted on the Comixfan website in 2007 shortly before the arrival of the crossover epic, World War Hulk. Without further ado, here's that interview--gone from Comixfan's archives, but saved courtesy of a guy who likes to keep everything! 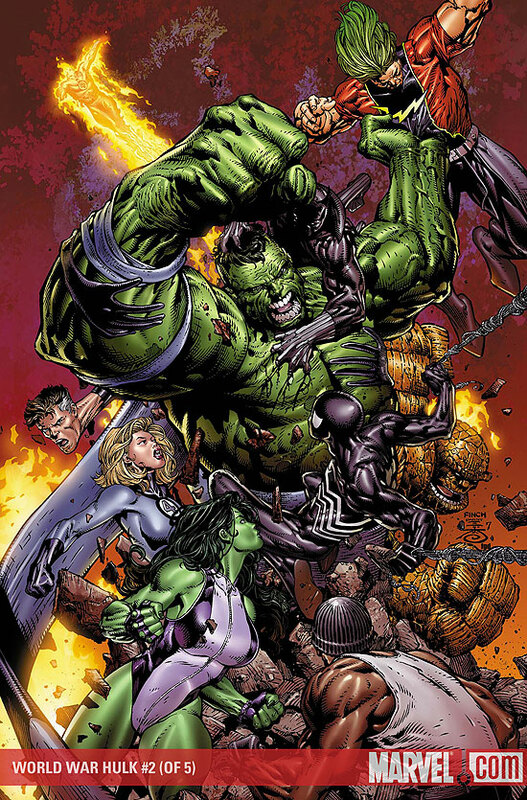 World War Hulk is a five-issue miniseries with tie-in issues across the Marvel line. Recently, Comixfan talked to Rhodes Scholar (!) Pak about "Planet Hulk," World War Hulk, and all the minutiae that have made The Incredible Hulk into one of Marvel's "must-read" series. Comixfan: For those who haven't been following "Planet Hulk," give us some background on the saga that's been going on for this last year, leading inexorably into World War Hulk. Greg Pak: A group of so called Marvel "heroes," including Mister Fantastic, Iron Man, Dr. Strange, and Black Bolt, decided the Hulk was a monster and exiled him to an alien planet. Weakened by the trip through the wormhole that took him to the savage planet of Sakaar, the Hulk was enslaved, then forced to become a gladiator. Bonding with his fellow gladiators, the Hulk became a rebel, fighting against the wicked Red King and eventually becoming the planet's conquering emperor, taking the great woman warrior Caiera the Oldstrong as his queen. Now the Hulk is returning to Earth. And he's going to teach those who exiled him who the monster in this story really is. 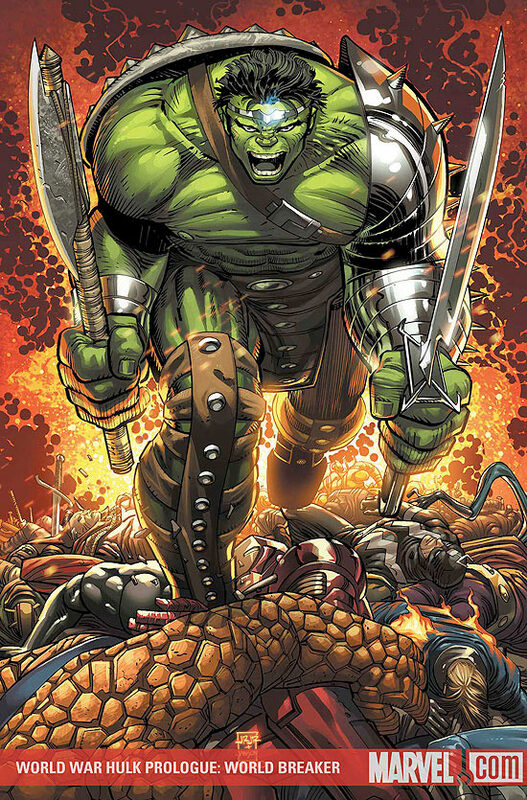 Comixfan: The genesis of "Planet Hulk" was in Joe Quesada's vision of the Hulk holding a giant broadsword in an alien landscape. What, then, was the impetus for World War Hulk? Pak: From the beginning we knew that if you send the Hulk away, he'll eventually come back. And much smashing would ensue. Comixfan: What separates this "Hulk vs. Everyone" story from previous such battles? Pak: In the classic battles in The Incredible Hulk #300, #316, and #321, the Hulk was insane -- mindless rage personified. He'd been stripped of rationality by Nightmare in #300--in #316 and #321, Banner had been separated from the Hulk's body by Doc Samson. But the Hulk's not only fully aware of who he is and what he's doing -- during the course of his time on Sakaar, he's developed an entire ethos and community. When he comes back to Earth, he knows exactly what he's doing and why and is utterly convinced of the justice of his actions -- which should make him far more terrifying to those who are in his sights. Comixfan: You've touched on changes to the Hulk since the last time such a large-scale battle has occurred. Can you elaborate? Pak: The Hulk has been through many different incarnations -- the average person's probably most familiar with the caveman-speak savage Hulk and the mute Hulk from the television series. But for "Planet Hulk," we're taking inspiration from Peter David's run as well as the original Stan Lee stories from the very first appearances of the Hulk back in the 1960s. Our Hulk is crafty--he doesn't say much, but when he speaks, it's clear he knows exactly what's going on and how to deal with things. He's smart enough to learn and strategize -- which means he can understand and take responsibility for his actions. But at the same time, he's as angry and savage as ever. So we have a character who can really struggle with this central question of whether the Hulk is a hero or a monster. During the course of our story, the Hulk's grown from someone who's full of rage towards everything and everyone to someone who's actually begun to trust the people who prove themselves to him. The strength and anger which make humans call the Hulk a monster are actually virtues on the savage planet of Sakaar. And as he's led the Warbound gladiators against the Red King, the Hulk has begun to wrap his head around the possibility that he might actually have a place, a world, a people, and a Queen to call his own. Comixfan: The Hulk's alter ego, Bruce Banner, has been conspicuously absent from the majority of "Planet Hulk," and gone with him the dichotomous tension some say is essential to the Hulk. 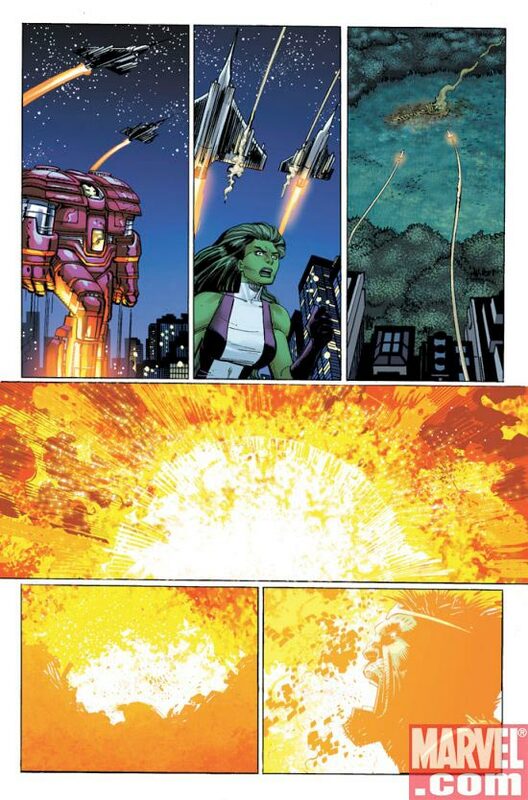 Will this dynamic change in World War Hulk? And how does the metamorphosis between man and monster operate these days? Pak: Banner's always been present in "Planet Hulk" -- we just haven't seen him. We've given some hints in The Incredible Hulk #103 about Banner's evolving relationship with his big, green alter ego -- more will be revealed during the course of World War Hulk. Comixfan: The Hulk can be a formidable force by himself, but he's had his "Warbound" group to side with on Sakaar. Introduce us to some of the Hulk's allies during World War Hulk. Pak: In The Incredible Hulk #103, Hulk married the wicked Red King's former bodyguard, the fierce woman warrior known as Caiera the Oldstrong. His other allies include the insectivorid Miek, the last king of his dying race; the nameless Brood Creature, perhaps the last surviving member of the species best known as impacable X-Men foes; Korg the Kronan, a great stone man who was one of the very first opponents of the Earth hero you puny humans know as Thor; Elloe Kaifi, an angry young Imperial woman from Sakaar; and Hiroim the Shamed, a Shadow Priest turned warrior. Comixfan: Tell us more about the Hulk's queen, Caiera--how the idea for her came to be, and explain the differences between her and love interests in the Hulk and Banner's past. Pak: One big idea of "Planet Hulk" was to see how the Hulk would react if he were thrown into a world where his anger and strength might actually be virtues. Caiera is a woman warrior on this savage planet who can actually match the Hulk's strength -- and appreciate him precisely because of his fury and power. I'm a big fan of previous Hulk/Banner love interests, such as Betty, Jarella, and Kate Waynesboro. But most of these women spent most of their time in love with Banner, or in love with the Banner in the Hulk's body. Caiera may be unique in loving the Hulk first and foremost as the Hulk. Comixfan: Which of the Hulk's Warbound allies has been the most interesting/fun to write? Why? Pak: I love 'em all. Korg has probably been the most fun from the beginning--he's a rock, the Warbound's heart and soul, and I've really enjoyed finding his steady voice. More recently, Hiroim's been developing in interesting ways--his spiritual struggle feels more compelling with each passing issue. But it's Caiera who's been the most gratifying to write over the past few issues -- she's grown enormously as a character, progressing from the Hulk's enemy to wary ally to lover and Queen. She has incredible strength and integrity -- it's been a real kick watching her develop. Look for big moments for...[all of the Hulk's] Warbound -- in the pages of World War Hulk. Comixfan: The Hulk seems to be quite at home on Sakaar. He's king, he's married, he has friends there. Is he merely returning to Earth for revenge, or is there more to it? And do all of the Hulk's Warbound brethren reach Earth? Pak: At least three will return with him. Beyond that, I can say no more. All will be revealed in The Incredible Hulk #105, the climactic issue of the "Planet Hulk" saga. Comixfan: The converse of the above: who are some of the Hulk's main antagonists once he returns to Earth? Pak: The Hulk has four principal targets -- Mister Fantastic, Iron Man, Black Bolt, and Dr. Strange, the four so-called heroes who exiled him to Sakaar. But anyone who gets in his way had best update any relevant health insurance documents. Comixfan: With all the emphasis on the Hulk's new warbound friends and on the conflict with Earth's superheroes, will the Hulk's main friends on Earth, such as Rick Jones, Betty Banner, et al, be seen during this conflict? What about General Ross, and the Hulk's other foes? Pak: I can't say too much for fear of spoilers--but at least one of the characters you mention above will play a key role in World War Hulk. Comixfan: Much has changed since the Hulk departed Earth--all more or less detailed in 2006's big Marvel event, Civil War. How does the Hulk view what has happened in his absence, and how do those situations play into the setup for World War Hulk? Pak: Again, I can't say too much for fear of spoilers, but fallout from the Civil War has affected a number of characters in interesting ways--and may help determine which Marvel heroes are crazy enough to actually side with the Hulk when he returns. The story of these heroes is told in The Incredible Hulk #106 to #109, which runs concurrently with the World War Hulk miniseries. Comixfan: Could this same storyline have been told without the backdrop of Civil War? Why or why not? Pak: In an interesting way, this story has framed the Civil War. The Illuminati exiling the Hulk heralded the beginning of the divisions that led to Civil War; now, the Hulk's return will play out against the aftermath of Civil War. Comixfan: What will the main thrust of The Incredible Hulk (the main title) be during World War Hulk? Pak: We all know who's going to fight the Hulk when he returns--but who will fight for the Hulk? The ongoing series follows teen-genius-on-the-run Amadeus Cho, a.k.a. Mastermind Excello, as he tracks down potential allies of the Hulk in anticipation of the Green Goliath's return to Earth. If you're interested in seeing where She-Hulk and Namor stand, don't miss The Incredible Hulk #106 and #107, respectively. Comixfan: From writing the World War Hulk mini so far, have there been any characters, aside from the Hulk and his Warbound brethren, who have stolen the show, or been just plain fun to write? Who and why? Pak: Within World War Hulk, I'm having a ton of fun with Dr. Strange--his scenes promise to be both poignant and terrifying. Within The Incredible Hulk book, Amadeus Cho and Hercules are a huge amount of fun to write -- they're part of a group of renegades who will play a critical role in The Incredible Hulk #108 and #109. 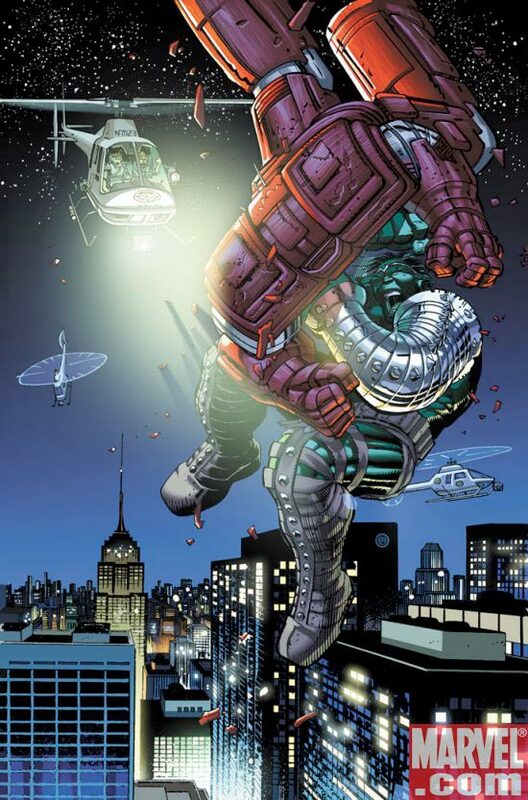 Comixfan: What other Marvel staffters were involved in planning World War Hulk? Pak: Editor Mark Paniccia is my chief partner in crime. But in a project this big, many, many people have provided input along the way. Editor-in-Chief Joe Quesada has played a critical role, all of the various Marvel editors have had their say, and the project's been discussed at a number of creative summits where other writers had a chance to bat ideas around. And now that the tie-in books are underway, there's a whole 'nother group of writers and editors that we're conferring with as we proceed in order to make sure all the stories make sense and fit together. Comixfan: As a first-time writer of a line-wide event, what have you found to be the pros and cons of writing a story on such a big scale? Pak: The pros include having the chance to play with all the toys in the Marvel Universe at once, which is incredible. The cons include the fact that a story gets analyzed by a dozen or more people and you have to constantly convince the group of how essential and awesome each element of the story is. Of course, in many ways, that's actually a positive, since the rigorous criticism and feedback you get on a project like this can really hone a story in a fantastic way. 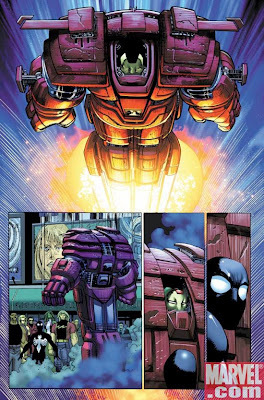 Comixfan: World War Hulk will have many tie-in issues (a Peter David-written prelude, World War Hulk Prologue: Worldbreaker; Christos Gage's World War Hulk: X-Men mini; etc.). How much freedom have you had in shaping the storyline, how much coordination have you done, and how much have you left to your capable editor, Mark Paniccia, and Editor-in-Chief Joe Quesada? Pak: With an event this big, there are a million different factors which can affect the story -- from practical issues like publishing schedules to creative challenges like making the story work in conjunction with dozens of other ongoing stories within the Marvel Universe. Throughout the months of story development, there were multiple times when Mark and I would need to rework the outline based on a brand new kink. I think the trick is to know what your story is--to fully understand the central premise and emotional experience of your main character. Then you can roll with the punches, adjusting small and big details when necessary, because the central story's crystal clear--it's just a matter of choosing the best path to take in telling it. Without a doubt, Mark's the true coordinator -- the grand shepherd of the entire event. But he's pulled me into every stage of the process as the kind of resident expert on the characters and stories and themes of "Planet Hulk" and World War Hulk, which has been great -- it's always fun to talk with other writers and it's a blast to bounce ideas around and see what folks are doing with the characters. I've been trading emails with Paul Jenkins (who's writing the Frontlines tie-in) and Christos Gage (the X-Men and Iron Man tie ins) and just had a very fun exchange with Zeb Wells regarding his Heroes for Hire crossover, which'll have everyone buggin' out. Comixfan: The classic trouble with line-wide crossovers often comes down to style over substance. What differentiates World War Hulk from other big events? 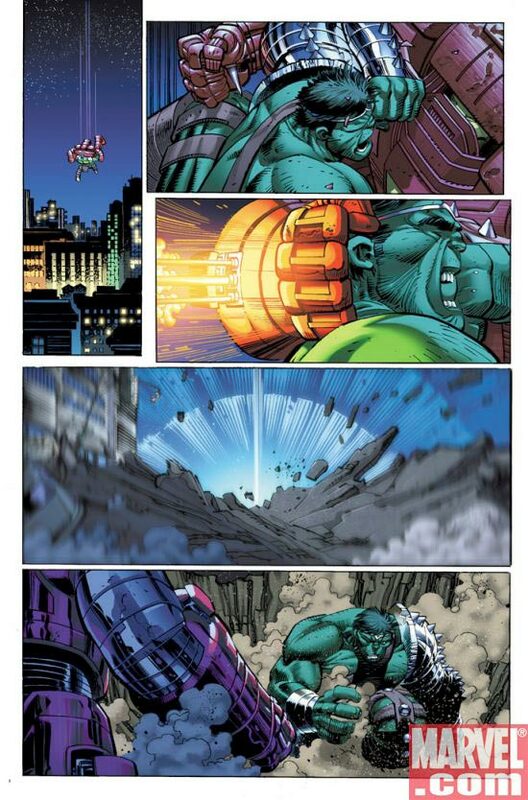 Pak: Just about nothing promises more incredible action that a Hulk-versus-the-Marvel Universe storyline. So for sheer visceral thrills, you just can't beat World War Hulk. But what makes the story really work is the emotional arc at its core. We've been planning this story for years; it's the culmination of all the character building that's been going on all year in "Planet Hulk." This isn't just the biggest action piece in ages; it's also the biggest and most critical emotional and character piece for the Hulk in recent memory. Don'tcha dare miss it! Comixfan: Well said. On that note, let's start closing things out. Personally speaking, what have been the highlights of working on The Incredible Hulk for your first year? Pak: Every single issue's been a highlight. 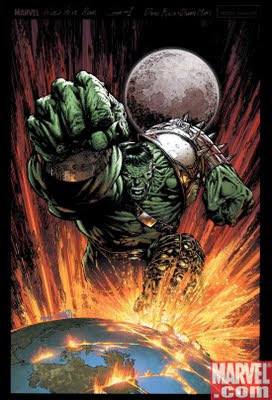 Honestly, "Planet Hulk" may be the most gratifying creative experience I've had thus far in comics--working with editor extraordinaire Mark Paniccia, artists like Carlo Pagulayan, Aaron Lopresti, and Gary Frank, and the entire creative team has been a dream. I think all of us have felt that the book is something special and have gone that extra mile to make every panel and every word as perfect as possible. I remember talking with Chris Sotomayor about the color palate of the planet -- he came up with the brilliant idea that the Hulk should be the only green thing we see--except for Caiera's eyes, giving a kind of subtle hint of their eventual relationship. I remember Aaron Lopresti doing five or six layouts of one big splash page until he found just the right image. I remember assistant editor Nate Cosby calling me to talk about the best word to pick for the Sakaarian equivalent of "mile." It's been an amazing experience, and I hugely appreciate all of the people who have worked so hard to make it come together. Comixfan: You say one of the key lures to World War Hulk is matching the Hulk against the entire Marvel Universe. What do you have to say to those out there who may not be huge Hulk fans and are sitting on the fence as to whether to participate in Marvel's latest big crossover story? Pak: First, you should be a Hulk fan! The ginormous hardcover trade of "Planet Hulk" is coming out in June, I believe, and that's a great chance to jump on board an epic Hulk tale that leads right into "World War Hulk." A large number of our readers hadn't ever read the Hulk or hadn't followed the book for years and are now hooked--it's an easy place to start, so come on board! Second, World War Hulk features some giant moments for a number of key Marvel heroes as they face the consequences of their actions from before and during Civil War. If you want to find out what's happening to the big guns in the Marvel Universe this summer, you need to read World War Hulk. Comixfan: One last thing: have you gotten your "Planet Hulk" action figure (released as part of the first wave of Hasbro's Marvel Legends series) yet? Seeing such a thing must be a pleasant surprise. Comixfan: Thanks for the great interview, Greg. Anyone wishing to know more about Greg's future projects can visit his website, http://www.pakbuzz.com! And don't forget, The Incredible Hulk #105 is on sale this Wednesday, and the road to World War Hulk begins next month in the regular book's 106th issue, plus World War Hulk Prologue: Worldbreaker, followed by World War Hulk #1, on sale in June! I like some of Pak's stuff, but I can almost hear the sneer in his voice when talks about the "so-called heroes" who exiled the Hulk. Makes me grind my teeth whenever I read it. World War Hulk was a big, dumb blockbuster type of event. It was fun, but it was never more than a means for the Marvel Universe to get "jobbed" again by Pak's pet heroes. If you can hear the sneer, that must be Greg seeing through the eyes of the character. He does tend to get deep under the skin of the characters he writes--you should hear some of the stories about the internal monologues he's had for Banner and the Hulk over the years. He knows Banner and the Hulk inside out, as few others have. As far as the rest, though it may have appeared big and dumb, the fact I put a five-part analysis of the storyline up on this blog (check 2007's archives) should serve as example that there was more than enough story behind the smash.